No membership, no hidden fees. It's awful to be sick and sitting in a doctors waiting room for a couple hours makes it worse. Luckily direct urgent care was the polar opposite offering WiFi, coffee, an awesome app and zero wait. From the friendly and smooth checkin process with Rebecca, to the speedy diagnosis and prescription pickup from Lisa and her team, a doctor visit couldn't be any better. I can't recommend this place enough. Thank you all. I wish every exchange with health care was this easy. Filled out the app on my own time prior to arriving so no paperwork to fill out. No wait time. Clean and inviting waiting rooms and treatment rooms. Warm, professional staff and quick diagnosis! Thank you for making the process comfortable in today's mess of a health care system. I was so happy to realize that I could have all of my medical needs met by Carbon. Dr. Sadarangani was really helpful and efficient with the process and made me feel at ease with this new process of medical care. Their location is incredibly convenient and I'm always able to connect with them via the phone app. My needs feel 100% met. Thanks! Mrs. Esther J Crane helped me navigate a situation regarding PrEP. She embodies intelligence, grace, but more importantly, I trust her (and I have a hard time trusting people). I would follow her to whatever practice she goes. This clinic is fantastic, I've made several visits already and whoever I've come across were awesome. I had an accident and had injuries to my leg and arm and Tatiana (she is a nurse) took a great care of wounds and applying antibiotic creams. The whole process was smooth and could be more painful if she was not that caring and experienced. Their app is really helpful and handy for making appointments and chats with your doctor and staff. This is my to-go clinic in SF. I highly recommend this clinic. I had to go to urgent care last weekend for a minor kitchen accident (clumsy me) and it was not the nightmare that I expected it to be. I've been to other urgent cares in the past (in a different state) and they were all complete nightmares. This office was actually (do I dare say) pleasant and the staff made a dreaded visit tolerable. They must see so much sickness and other stuff on a daily basis so I appreciated that they were able to still be in good spirits. I got treated quickly and left feeling very taken care of. Thanks guys! I have been twice to this location and I have to say the process of setting up you first visit and the paperwork is easy on the app, and so are the different convenient ways of setting up appointments. The location is nice and airy and my experience with Elizabeth, Julie (I think?) and others there have been amazing. 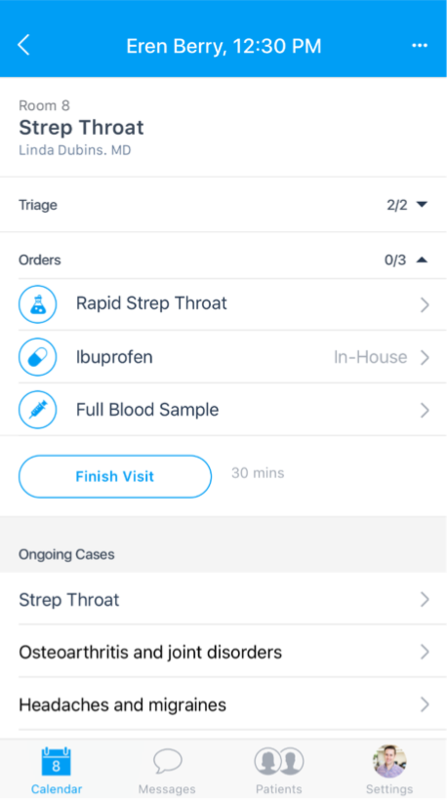 I went for what ended up being strep throat and they took the time to listen to what I was feeling, did a rapid text to confirm it and sent me home with lots of instructions in the app and a prescription that you can send by email to your pharmacy. They also text back through the app if you have questions so overall, I totally recommend this location. I don't like doctors and going to them stresses me out but you feel cared for here. Da best! Thank you Carbon Health for everything. 5 star experience: ease of booking, office staff, follow up before and after appointment, Dr. Burrell!, communications, referrals to other doctors. Really made healthcare enjoyable and felt like I was in great hands. Dr. Burrell took his time to understand what was going on with me and to help me understand our potential options. I had such peace of mind after visiting him. And plan to see him whenever needed going forward :) Thank you! Such a great experience from the moment I walked in the door. The place is clean, efficient, and even has some prescriptions in office. My visit was without insurance and I found it affordable and fast. You can make an apt ahead of time or walk in like I did. 10 minutes wait, I checked in on an upload and explained my symptoms. I saw a nurse practitioner who was knowledgeable and had great bed side manner. Would definitely recommend!